.hack//G.U. was a three part Playstation 2 action JRPG series created by famed developer CyberConnect2. The game spawned countless videogames, anime, novels, and manga, and focuses on the mysterious events surrounding a wildly popular in-universe MMO called “The World”. .hack//G.U. follows the events of the original .hack series with players assuming the role of a character called Haseo as he tracks down a powerful player killer named Tri-Edge. Tri-Edge killed his friend’s in-game avatar, Shino, and put her in a coma in real life. Haseo is out for revenge, but it’s unclear whether he will be able to handle Tri-Edge’s sheer power when they eventually meet. .hack//G.U. 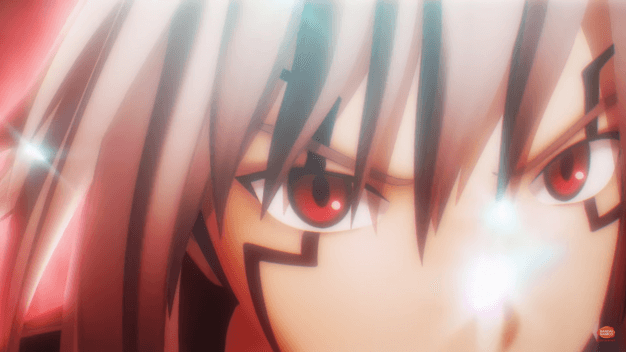 Last Recode will be the definitive .hack//G.U. experience for existing fans and newcomers to the series, especially for those of us in the PAL region who didn’t receive all of the games during their original PS2 release. .hack//G.U. Last Recode collects all three .hack//G.U. games – Rebirth, Reminisce, and Redemption, and updates them with 1080p, 16:9 wide screen picture and 60fps frame rate. The gameplay will also be balanced and additional features added to the game will be announced in the coming months leading up to the remastered trilogy’s release. Last Recode will also include quality of life changes such as enhanced battle balance and game pacing, as well as a new cheat mode which allows players who just want to enjoy the story to start the game with full stats. .hack//G.U. Last Recode will release for the PS4 (digitally and physically) and PC in late 2017.